"I came for lunch. The service was excellent, I ..."
"We frequent this place and for good reason. The..."
Jack's Place is a food and beverage restaurant that provides delicious food to their customers and is much loved by them. Their mission is to make tasty food for their customers without compromising their food quality. They believe that it is important to use fresh and high-quality ingredients in order to achieve the best taste. Jack's Place Catering's menu features Buffet and Canape Menus for Corporate and Private Event Buffets and they're sure to be your favorite. Their popular menu includes Tea Time Combo A, Dirty Hand's Spicy Buffalo Wings, and Best Mixed Combos. Their Tea Time Combo A comes with Beverage, Snacks, and Main Dish. Their Dirty Hand's Spicy Buffalo Wings are marinated with their very own seasoning. They are deep-fried, coated with BBQ-cayenne pepper hot sauce and served with vegetable crudites & dips. Their Best Mixed Combos come with sausage, lamb chop, chicken fillet, beef steak, bacon, complete with an egg made sunny side up. Looking to get Jack's Place Catering delivered to you?Jack's Place Catering delivery is available for breakfast, lunch, and dinner in Singapore. Make sure to check their schedule for delivery times, which is usually 7 days a week and do note that their menu requires 3-day notice for placing orders, so don't be disappointed! 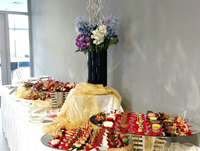 Thanks to Caterspot, you can have Jack's Place Catering to cater to your needs and preference. You can simply place your order via our website. Alternatively, you can also call our hotline. Our friendly staff will be pleased to assist you with your booking or any enquiry. In Caterspot, we provide a seamless experience and convenience to our customers: once you have placed your order, you can count on us to deliver tasty and fresh Jack's Place Catering menus to your location.